The materials in the Green 'N' Growing collection provide valuable information about women, children, race relations, education, agriculture, and rural life in North Carolina during the twentieth century. In order to help classroom teachers and their students explore the history North Carolina through 4-H and Home Demonstration materials, the Special Collections Resarch Center has partnered with LEARN NC in developing K-12 lesson plans. If you are an educator and you have used these lesson plans, we would appreciate your feedback. Please contact us and tell us what you think. In this lesson plan, secondary students will analyze a variety of primary source textual materials to investigate how young rural people were encouraged to support the war effort during World War II. In this lesson plan, students will use primary source documents to evaluate the technological challenges of food preservation in the 30s and 40s, compare food preservation in the first half of the twentieth century with today, and consider the political role of food in the community. In this lesson plan, elementary students will analyze photographs of children from North Carolina provided by the Green 'N' Growing collection from the Special Collections Research Center at North Carolina State University. They will investigate how individuals and families are similar and different, and to begin to acquire an understanding of change over time. In this lesson, secondary students will analyze primary source materials to investigate how 4-H clubs made an impact on the home front in completing projects that supported the war effort during World War II. This lesson should be taught at the end of a World War II unit. In this lesson, students will learn about rural life in North Carolina at the turn of the century. Home demonstration and 4H clubs implemented many programs to help people learn better farming techniques, ways of preserving food, and taking care of the home. Several North Carolina leaders went to great lengths to ensure the success of these programs. In part of this activity, students help the town of Farmville dedicate a monument to one of those people. Students can read the text on their own or use the audio to read along. In this lesson students will examine "Additional Helps for the 4-H Mobilization for Victory Program," a Cooperative Extension Work document from the Green 'N' Growing collection at Special Collections Research Center at North Carolina State University Libraries. The document will help students understand the efforts civilians underwent to support military efforts in World War II. Students investigate "Grooming," an Extension Miscellaneous Pamphlet from North Carolina Agricultural Extension Service from January 1939. The document provides a glimpse into the lives of girls and women from the 1930s and will give students the opportunity to study what was considered attractive for the time, how the Depression affected grooming practices, and the universal concept of healthful living. This lesson plan is designed for Grades 8 and 11 Economics and Civics and United States History. In this lesson, students will evaluate public service posters and a grooming pamphlet to determine if and how propaganda was used to improve the health of children, and define acceptable appearances for young women in the 1930s. In this lesson students will examine pictures and documents relating to the Live-at-Home program started in North Carolina by Governor O. Max Gardner to help North Carolina farmers refocus on food crops rather than cash crops during the Depression. These photographs will help students draw conclusions about the culture of North Carolina in the early 1930s and understand how they overcame the hardships of the Depression. This lesson plan is designed for Grade 8 Social Studies. In this lesson plan first grade students will examine photographs of 4-H club members with animals from North Carolina. They will make observations from the visual material to build an understanding of the needs of animals. They will begin to learn that these needs have remained the same in different times. In this lesson, students will analyze images and a home demonstration pamphlet, a Cooperative Extension Work document from the Green 'N' Growing collection at Special Collections Research Center at North Carolina State University Libraries. 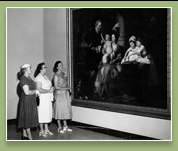 The primary sources will help students assess the roles, opportunities, and achievements of women beginning in 1950. Students will learn about home front activities during World War II. Using primary source documents and photographs, students will discover how children their own age participated by growing Victory Gardens. They will design their own gardens and propaganda posters.